Regression coupled with the scarcity of suitable habitat throughout its geographical distribution, especially in the Var populations up the Hermann’s tortoiseas as a rare and endangered species. 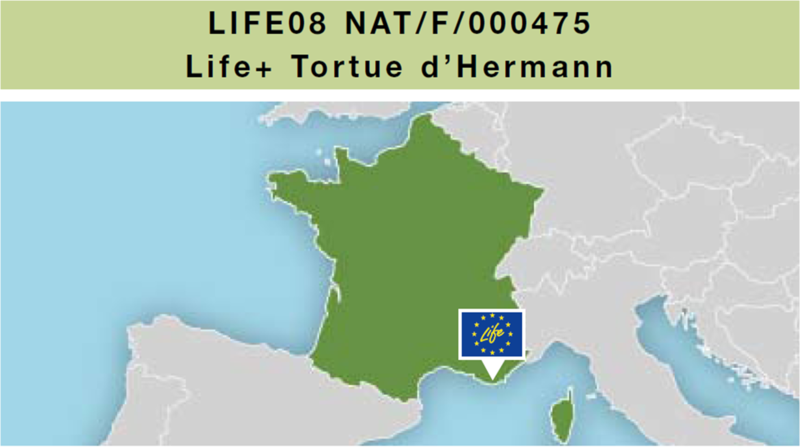 This has led Europe, France and local authorities to provide financial support for the LIFE+ program in 2010 entitled: «Towards an integrative management in favour of the terrestrial tortoises in Var – Creating tools for the managers of natural habitats in Europe". This program is coordinated by the Regional Agency for the Environment Provence-Alpes-Cote d’Azur (ARPE PACA) and implemented in collaboration with managers, scientists and state services. It is planned for a period of five years from 1st January 2010 to 31 December 2014.